Samsung Electronics Co., Ltd., today announced two new elegant editions of the Gear S2 classic and its latest Galaxy TabPro S at the Samsung Southeast Asia Forum 2016 in Kuala Lumpur, Malaysia. 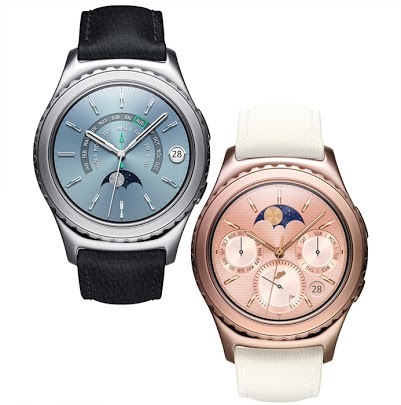 Continuing its leadership in the wearables category, Samsung unveiled two new elegant editions of the Gear S2 classic, one encased in 18K Rose Gold and another in Platinum, offering users diverse options to express and match their style while highlighting its circular design and advanced functionality. Since the successful launch of the Gear S2, Samsung has been working with partners, such as Uber, ESPN and CNN, to provide more convenient and expanded user capabilities. For a more personal and customizable experience, Samsung is also expanding its line of watch straps and watch face options. Samsung has partnered with exclusive designers, such as Colombo, on premium watch straps for the Gear S2, and has introduced fun and creative watch faces including Peanuts characters and artworks from Keith Haring, Jean-Michael Basquiat, Jeremyville and Burton Morris. 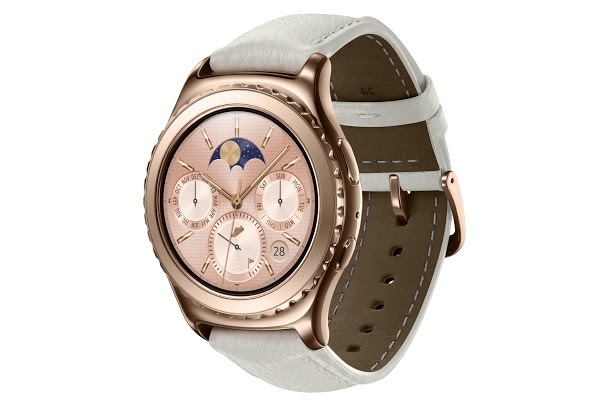 The new Gear S2 classic will be available in Rose Gold case with an Ivory Genuine Leather Band and in Platinum case with a Black Genuine Leather Band. Samsung also unveiled its latest Galaxy TabPro S, which combines Samsung’s world-class technology, powered by the Microsoft Windows 10 operating system, together into a premium tablet. By integrating the most popular features of laptops and tablets, users now have access to full notebook PC functionality in a lightweight tablet for the most productive mobile experience. At 6.3 millimeters thin and weighing only 693 grams, Galaxy TabPro S is designed to be easily carried around all day. A full-sized keyboard cover, which comes included with the device, also enhances usability. The keyboard’s flexible hinge enables optimal, dual-angle viewing for the clearest display in any circumstance. Moreover, the Pogo pin on the Galaxy TabPro S keyboard eliminates the need for pairing or charging separately. The keyboard’s touchpad emulates that of a PC to provide easy control, even when used in Stand Mode. Galaxy TabPro S utilizes Samsung’s advanced technology to maximize performance and power efficiency. It is the first tablet, powered by Windows, to support LTE Cat 6 for the fastest and most advanced connected experience. With enhanced fast charging features, Galaxy TabPro S’s battery can fully charge in just 2.5 hours, and offers up to 10.5 hours of battery life* for all day use. For power-driven performance, Galaxy TabPro S is equipped with the latest generation Intel Core M processor, designed for a fanless 2-in-1 tablet, featuring only 4.5W of power consumption to minimize noise disruption and maximize efficiency. To enhance productivity, a multi-port adapter (HDMI, USB Type A & C) and Bluetooth Pen are available for purchase separately.